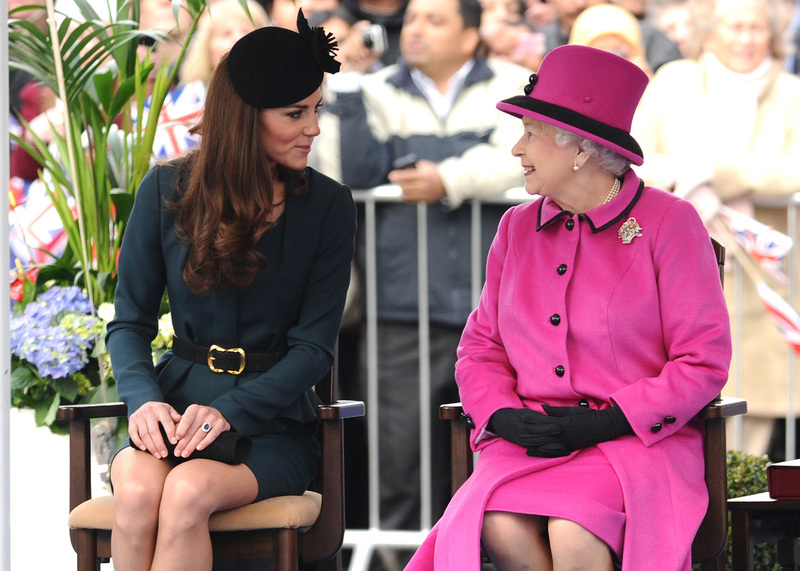 Today, the Queen and the Duchess of Cambridge teamed up for a very rare occurence. The two senior royals headed out on a joint engagement together, just the two of them, for the very first time since Catherine married into the family. It’s quite a contrast to Meghan Markle’s experience, as she headed out on a solo trip with the Queen last June, just months after she married Prince Harry. Normally, the Queen and the Duchess are joined by various other royals when they complete a public engagement together. For example, last year they came together for the annual Remembrance Sunday service, where Camilla and the rest of the senior royals were also in attendance. So it’s likely a special day for the two ladies, as they headed to Kings College London, where they re-opened the Bush House building. After a refurbishment, the building will now include 40 classrooms, a huge auditorium, a restaurant and an NHS medical centre. But it won’t be the monarch’s, nor Catherine’s first visit to the site. Back in 2012, the Queen visited with Prince Philip, while Kate made a trip to the Neuroscience Institute there back in January 2018 – three months before giving birth to Prince Louis. It seems to be the first time ever that the Queen and Kate have been on a solo engagement together. Back in 2012, months after her wedding, Catherine headed to her first engagement with the monarch without Prince William – but the pair were actually also accompanied by Prince Philip. The three of them headed on a day-long outing together, starting their journey at London St. Pancras station, before heading to Leicester. Whilst there, they met with members of the public, attended a service at Leicester Cathedral, and visited the University. Catherine spoke about the memorable visit in an ITV documentary back in 2016, which was made to commemorate the Queen’s 90th birthday. She confessed, “The most memorable engagement for me, I suppose, was an away-day to Leicester. I went without William so I was rather apprehensive about that,” before assuring that the Queen was “very supportive”. Of course, it’s been seven years since that day, and Catherine is now a fully fledged member of the family with countless engagements and patronages under her belt. So we’re sure today’s visit will be much easier for the now very experienced royal.